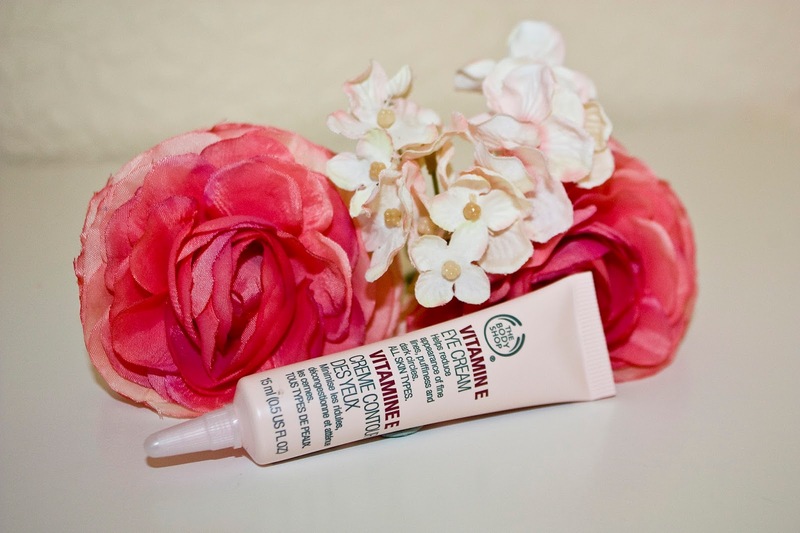 Guest Post | The Body Shop Vitamin E Eye Cream Review! Firstly let me introduce myself. I am Sian Marie from Sian Marie Beauty, as you can probably tell from the name of my blog. I am a lover of beauty. Make up, skincare, hair care the lot of it! Julie so kindly asked me to do a guest post and how could I refuse?! I adore JustJulie and have been a reader for at least 6 months! Within that time I have gotten to know Julie herself quite well and I love our little chats! She is very knowledgeable and I tend to go to her to ask for opinions! And how many times have we retweeted each others tweets?! Haha! Shall we get on with the post! Here we goooo! I haven't used an eye cream until lately. I know I am so naughty. But I really didn't realise the benefits that using an eye cream gave you. I always thought that my normal face moisturiser would give me the same effect. How wrong I was. Belle from Mascara & Maltesers, was the first to get on my case about using an eye cream. So when I was off work a couple of weeks ago I popped into The Body Shop and picked up this little gem. The Body Shop Vitamin E Eye Cream. I had read a few reviews online giving this mixed reviews. But just because a handful of people didn't like this, that shouldn't cloud your views on it. So I popped it into my basket and made my way home excited to try it. My skin is very dehydrated, I don't drink enough water so I have to try and get my hydration from else where. The description of this cream seemed to tick all of the boxes. On first use it was like I could feel my eye area getting tighter. Anyone else feel that? You only need a pea sized amount of product. I place this on my ring finger, then rub them together and then in little circular motions I go along my eye area. Right up to where my eyebrow ends. I have been using this now for 2 weeks non stop and I have noticed a difference in my under eye area with puffiness, especially at the moment as I am not sleeping well. This little guy has been a life saver. And my skin must be feeling more hydrated as my concealer and foundation sit so much better under my eyes. It no longer wants to dance across my face. All in all, I really liked this cream. I personally don't think I would repurchase it as I want to try other eye creams, but as a starting point. I would 100% recommend this and for £10 its a bargain. Have you tried this eye cream?